What exactly is a comfort system? The short answer? Instant hot water, at any faucet in your home. Sound too good to be true? At California Repipe Specialist, we are offering a free comfort system at every fixture*. So just how does a Grundfos Comfort System work? 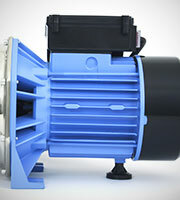 The main components consist of a pump, pipes and valves. It is a simple system and extremely effective. 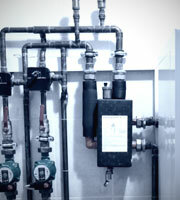 You will never want to be without instant hot water again and with this system, you’ll never need to be. We install the Comfort System on your hot water heater in order to route “recycled” water back to the water heater, in the process, recirculating the reheated water. The design of the Comfort System allows hot water to be available immediately, through recirculation. 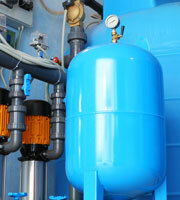 The Comfort System circulates the hot water to the cold water line in a continuous loop from the hot water heater. The regulation valve is mounted on the sink farthest away from the hot water heater in order to help regulate the flow from the hot water line to the cold water line. Basically the Comfort System is a recirculation system that keeps the hot water moving in the pipes, not allowing it to get cold. You never have to stand there for an extended period of time to receive hot water, like you would with a traditional hot water system. The benefits are clear when you repipe your home with either PEX or copper pipe from California Repipe Specialist. Contact us today for more information and experience the benefits of a Comfort System for your home!